Silver olives, not far from Arezzo. A characteristic and ancient farmhouse set on a hill and immersed in the silvery foliage of olive trees which create an enchanting and peaceful atmosphere. Situated between Arezzo and Castiglion Fiorentino it offers uncountable opportunities for visiting museums, monuments or simply for going shopping in the surrounding town centres. The Arezzo Equestrian Centre is placed only 4 km away from the villa ant it hosts important and international events all the year-long. The panoramic pool. In the large garden, only a few metres from the house, there is a beautiful swimming pool (5 x 10 m., depth 0,90-1,80 m.) where children can play in absolute tranquillity and adults relax in the sun, admiring the beautiful view of the below valley. Rustic but comfortable. The garden area, shaded by old trees and olive trees, is completely fenced and equipped with garden furniture, a small tree house for children, a wood burning oven and a barbecue. The furniture is rustic but comfortable and fits in well with the house style. Private pool open from 18/05 to 21/09. Obligatory final cleaning Euro 80. 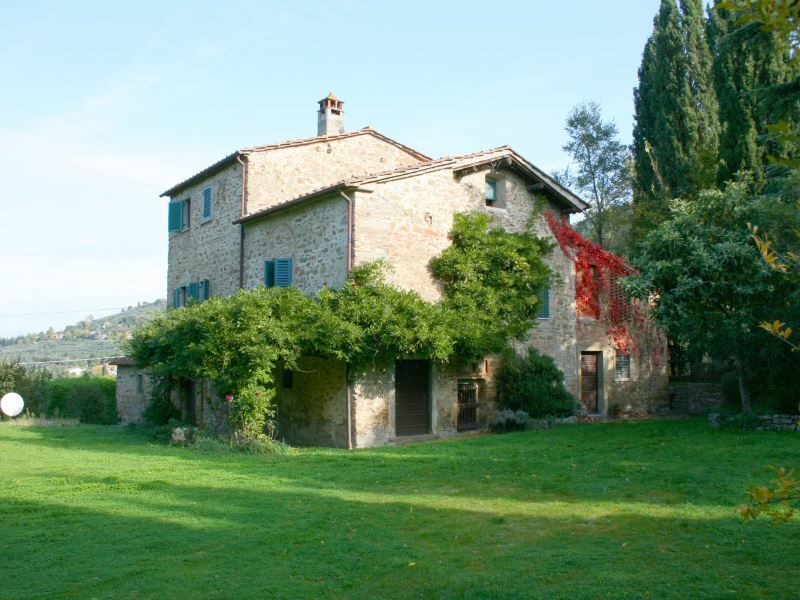 This is a beautiful 4 bedroom property located in Tuscany, Italy. This villa, in Tregozzano, is a comfortable property sleeping 6 people. The villa offers superb accommodation, including modern luxuries such as internet access, swimming pool and table tennis.